First the bad news... the greatest enemy the heroic Saiyan warrior Goku had ever faced, the evil Frieza, has been resurrected from the dead partially by use of the Dragonballs! Now the even worst news... Frieza has gathered his army of extraterrestrial warriors and has launched an attack of extermination on Earth. And even worse that that, it seems that Frieza has cultivated incredible new powers – including a new final form possibly more powerful than what Goko had when he faced-off against Majin Boo! 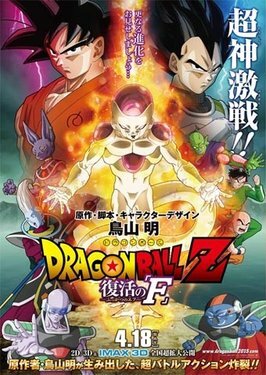 To defeat this improved version of the vile interplanetary tyrant, Goku must put to use the Super Saiyan God powers he gained in his recent battle with Beerus... but will it be enough to defeat Frieza? 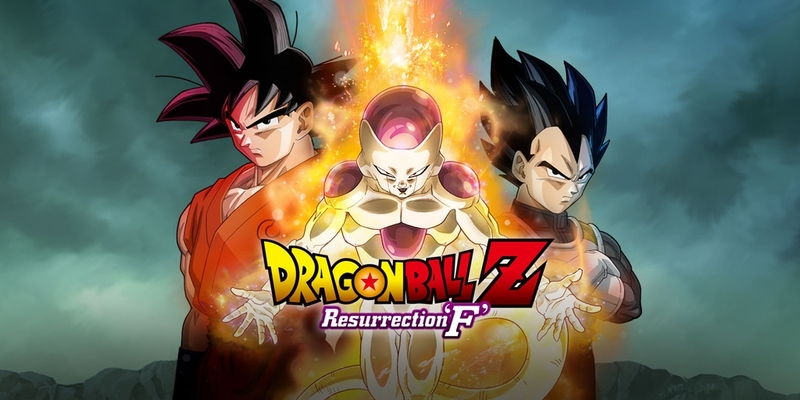 Dragon Ball: Resurrection 'F' is the nineteenth Dragon Ball movie. "The worst wish in history, that is the beginning of despair." Two loyal followers of Freeza, Tagoma and Sorbet, revive Freeza. With a new form, more powerful than Super Saiyan God, Freeza's army advances toward Earth. Just how powerful is Freeza? Has Vegeta mastered the Super Saiyan God transformation? Is there any hope left? Tune in to find out!